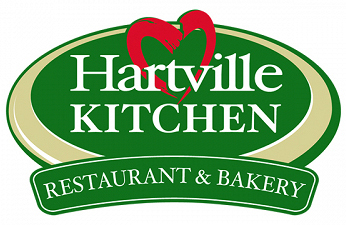 Join us for a tour of Lake Elementary followed by an optional lunch at the Hartville Kitchen. Tour led by Melinda Scalfaro, AIA, Sol Harris Day. Lunch is optional and is not included in the tour registration cost. Change is inevitable and will invariably have an impact on how education is delivered. With advancements in modern technology and new understandings of the learning process, the educational environments of today must be designed with enough flexibility to support new ways of teaching and learning. 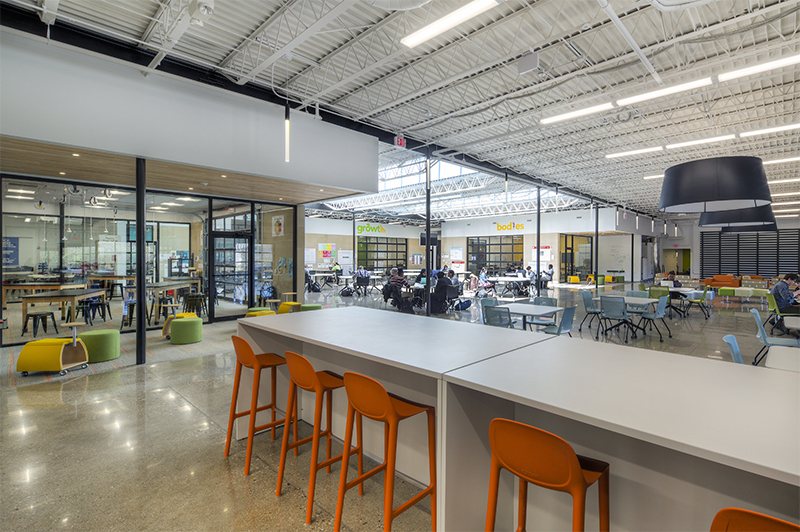 Delivering these spaces requires educators, planners and architects to work collaboratively, addressing current educational needs while considering those of future generations. This workshop will examine learning environments’ support of modern educational delivery models while exploring options to expand opportunities in the future. Presenters will provide practical solutions around these concepts for both new and renovated building projects, and will encourage attendees to participate by asking questions and sharing ideas throughout. Examine educational delivery models and how they impact the environments where students learn. Describe how changing educational delivery models are driving the need to redefine the learning environment. Apply practical solutions, techniques, and strategies to plan for future ready learning environments. 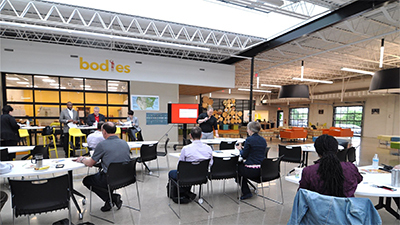 Define and explain what is required to make new and renovated facilities future-ready learning environments that will embrace changes to educational delivery models. 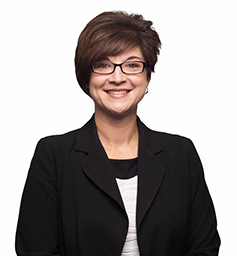 Stephanie Donofe Meeks is director of integrated technology at the Ohio Department of Education, where she supports technology integration innovations and blended learning initiatives for districts and schools across the state. 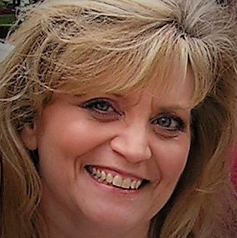 Before joining the department, she served as district coordinator for Instructional Technology at Westerville City Schools and Olentangy Local Schools, as well as a teacher and school librarian with the Diocese of Columbus Schools, Columbus City Schools, the Department of Defense Dependents Schools in Germany and Korea and Edison Local Schools. As a practicing superintendent, Emmy Beeson lives the work she brings to other districts through her consulting. She has successfully passed a bond issue and operating tax campaigns along with building effective union and board relationships. These district leadership skills have been vital in her engagement of both staff and communities to help uncover their vision in areas such as education and facilities. Her personal experiences as a superintendent who reimaged what learning could look like, allow her to speak on issues such as the connection between vision and space and learning and design. Her story can be found in the recently published book Irresistible: A Story of How Passionate Leadership and Smart Design Transformed a School and a Community. As a consultant she takes districts, through a series of experiences and questions to assist in the development of their own values based directional system which provides vision, mission, and expectations around implementation and sustainability. She supports districts through their newly discovered vision with instructional strategy adoption and professional development and coaching. The shared creation of a directional system embeds vision and mission into the daily life of the organization. With numerous tours of a PreK-12 facility, designed under her direction, and a wide variety of speaking engagements on her resume, districts are sure to find an advocate for transformational education in Emmy Beeson. Steven Herr, AIA, is a Director of Design for Fanning Howey, a national architecture and engineering firm specializing in learning environments. A voracious reader and life-long learner, Steve personifies Fanning Howey’s commitment to supporting educational achievement at all stages of life. 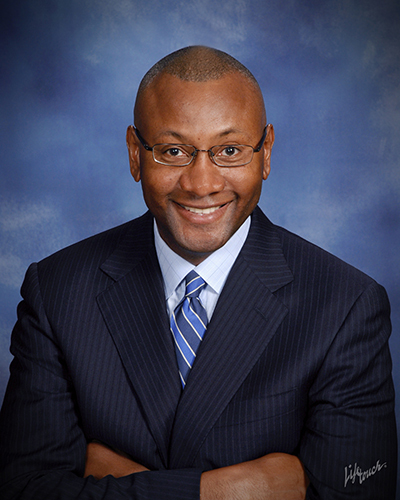 He serves clients throughout Indiana and Ohio and across the country, focusing on future-proofing strategies that help all students and teachers reach new heights. Steve’s recent designs include the new Columbia City High School in Columbia City, Ind. ; the new James Blair Middle School in Williamsburg, Va.; and two new high schools in Salt Lake City, Utah. High performance learning environments can take on many shapes and sizes, but they all utilize the same concepts based around how the modern student learns. Concepts of flexibility, collaboration and integrated technologies serve to strengthen students’ critical thinking and problem solving skills within a creative and inspiring atmosphere. The state of Ohio has been pursuing the development and progression of these environments to continue to improve the education of our students. A diverse panel comprised of representatives from the Ohio Facilities Construction Commission (OFCC), the Ohio Department of Education (ODE), a leading school district and an educational design firm will discuss the future of high performance learning environments in Ohio and across the nation. Panelists will highlight how a new or renovated school project can become a high performance learning environment through the state of Ohio standards, guidelines and funding. 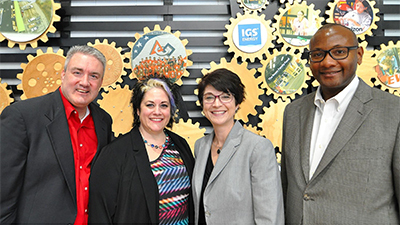 Holly Lavender is part of the Ohio Department of Education – Office of Innovation team, which oversees and manages state efforts to support innovative schools such as STEM Education, Competency-Based Education and the Innovation Lab Network. After teaching high school physics and mathematics for 14 years, Holly was part of a state-wide team to provide support to Ohio educators in assessment literacy and curriculum development, and later joined the department as a content and assessment lead for the state’s science and mathematics assessments. Holly is currently the STEM Education lead at the department, and is working with the department and other stakeholders to promote and scale up innovative best practices in STEM, and to support the work being done by Ohio’s Competency-Based Education pilot program. Kate Thoma is the Assistant Principal at New Albany Intermediate School. A graduate of Bowling Green State University and Ashland University, she has been with the New Albany Plain Local School District since 2004. 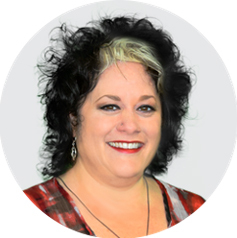 Throughout her career, she has served in many roles including an Intervention Specialist, Classroom Teacher, and Technology Learning Coach. During her Administrative Internship, she developed a series of Professional Development Graduate Courses for teachers both in and beyond her school district. Additionally, she assisted with the process of opening their newest building on campus, where she is now the Assistant Principal. 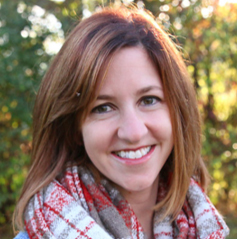 Kate is extremely passionate about redesigning educational spaces to meet the needs of today’s learners. Even more important to Kate, is the work that goes into launching a 21st Century school, that supports teachers in maximizing the potential of these environments in order to foster critical thinking, creativity, communication, and collaboration. Since 1997 Mr. Rowell has been engaged as a planner with the Ohio state agency “Ohio School Facilities Commission” through its transition to the “Ohio Facilities Construction Commission”. He has worked with more than 200 of Ohio’s public K‐12 school districts in developing master plans for their school building improvement programs. Currently in his 21st year of educational planning, Glenn continues to assist school districts with transitions from 20th‐century pedagogies and facilities to contemporary, forward‐ thinking educational practices and the facilities that support next‐generation education, and is actively engaged with the Association for Learning Environments (A4LE) in the pursuit of improving educational learning environments. 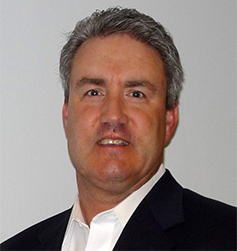 Glenn has been in the architectural profession for 37 years and holds architectural licenses in Texas and Ohio and is certified by the National Council of Architectural Registration Boards. 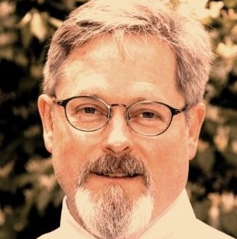 Rod Wiford is a project executive with the Celina, Ohio, office of Fanning Howey, an architecture and engineering firm specializing in the design of learning environments. 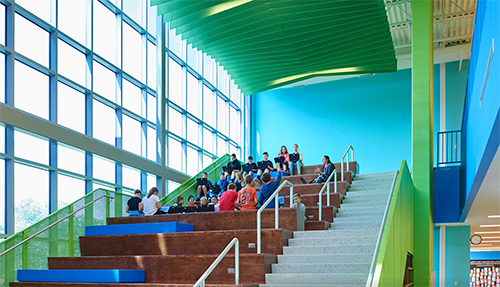 Rod combines an in-depth knowledge of the Ohio School Design manual with a passion for creating future-ready schools that lift students to new heights. 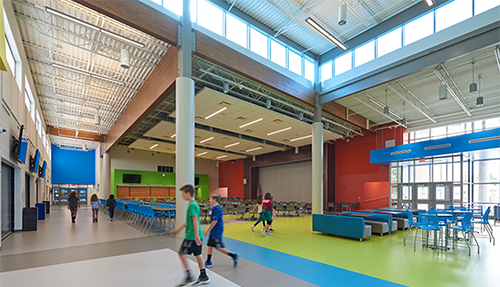 Rod was the project executive for the new West Muskingum Elementary School in Zanesville, Ohio, a school created under the OFCC’s guidelines for High Performance Learning Environments. 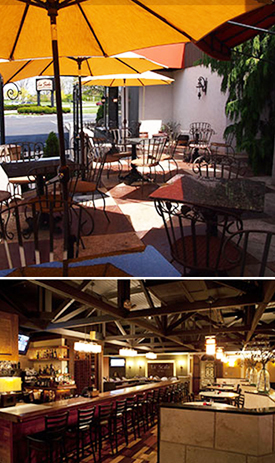 Join us at La Scala for dinner and a presentation from Dr. Gary Allread, Professor and Program Director Institute of Ergonomics at The Ohio State University. 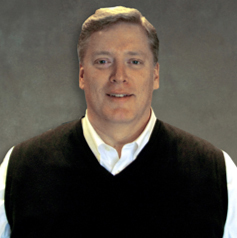 Dr. Allread is the Program Director of the Institute for Ergonomics at The Ohio State University. A Certified Professional Ergonomist, he works extensively with companies and organizations nationwide, to provide a variety of ergonomics support services. This includes: conducting ergonomics worksite assessments; giving general and customized ergonomics training; and developing and managing companies' ergonomics programs. He also works closely with Ohio State's well-respected ergonomics faculty and staff to conduct quantitative research for those seeking more-detailed analyses of their products and work functions. Dr. Allread coordinates Ohio State's popular Ergonomics Short Course, offered bi-annually on OSU's main campus in Columbus. Recently, he has also lent his expertise to those in the foundry, automotive assembly, hospitality, healthcare, and air transportation industries, to improve work practices and reduce injuries among employees. 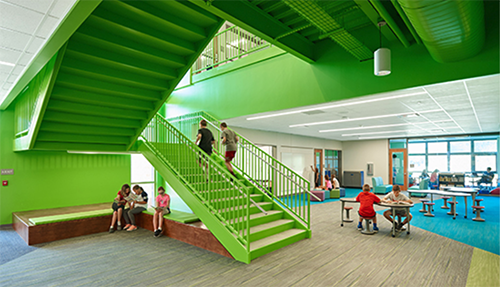 High performance learning concepts where embraced in the design of this new PK-6 school, providing for a large gathering stair/presentation space near the center of the building, as well as collaboration/extended learning areas in each of the four academic wings. The building is on track to achieve LEED Gold certification. 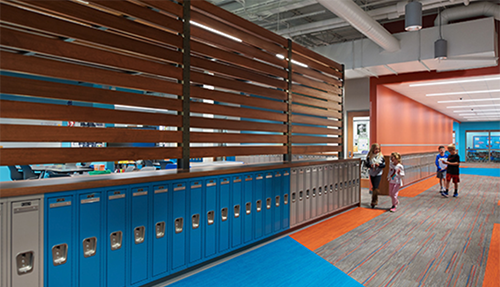 Using Olentangy's recent successful high school layouts from Liberty and Orange High Schools as the basis of design, Olentangy incorporated new Collaboration studios into the academic studios to provide high-performance learning spaces for today's academic program. Various other improvements were made throughout the building to address security and technology. Eighth through twelfth grade students collaborate, prototype and present in four new Design Thinking Labs throughout the district. Students develop the ability to investigate a problem, apply relevant knowledge, and take responsibility for their learning by utilizing critical thinking and solving problems as an application of design thinking. The flexible spaces are created to put students at ease, foster collaboration, and engage and support 21st century learners. This project is for a new Middle School housing 1,340 students and incorporating high-performance learning principles and encouraging teaming and small group learning in twelve small communities. The building also includes an 800-seat auditorium and an oversized gymnasium. Building is one of the latest examples of 21st Century Learning principles. Tour will be followed by a meal and a discussion on 21st Century Learning. The tour will provide educators not familiar with the student-centered concept as well as those wanting to see examples with an opportunity to see a school first-hand. By default, the tour will allow educators to compare a typical or traditional learning environment with the student centered learning environment. "Experiences with Construction Delivery Methods"